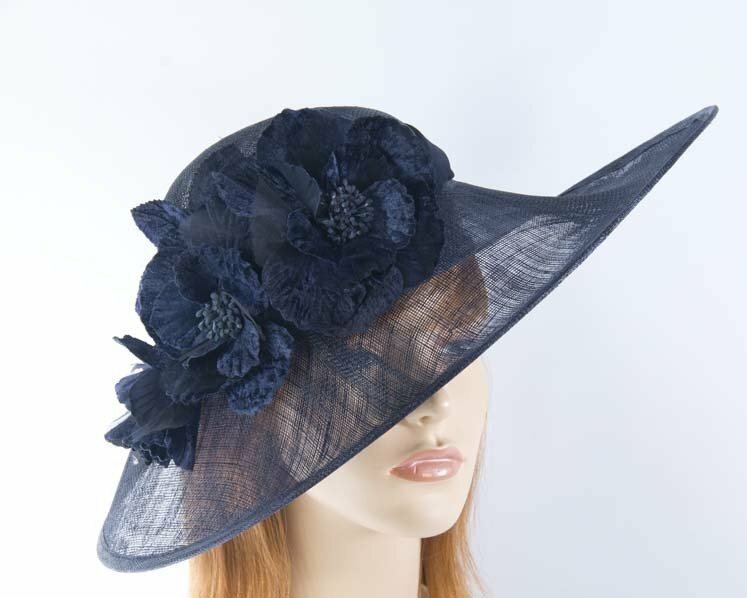 This elegant navy ladies hat features unique shape with upturned brim and large flowers. It is an excellent choice for Melbourne Cup, Derby, races and any special occasion. This hat has an adjustable band for comfortable wear.